Terry Glavin: The Obama Administration's Foreign Policy: Inconsistent, Incompetent, Mendacious. The Obama Administration's Foreign Policy: Inconsistent, Incompetent, Mendacious. The birth pangs of Arab democracy thus risk the perverse and paradoxical effect of strengthening Iranian totalitarianism and making ideological and political containment of the Islamic Republic more of an uphill battle than it was prior to the self-immolation of a desperate Tunisian fruit vendor. To point this out is not to suggest that the US should continue risking the moral and strategic hazards associated with propping up Arab dictators. That strategy has borne rotten fruit for far too long. On the contrary, the turbulent era ahead calls for principled, prolonged American engagement in the region. Economic aid and top-down engagement with emerging elites will only go so far. What is needed and desperately lacking in American policy toward the Mideast is a consistent vision of and commitment to a democratic future for the region. In the coming months and years, American policymakers must actively identify and reward liberal voices, while simultaneously undermining and marginalizing Islamist ones. Obama’s record on this count has been woefully inadequate thus far. Eager to put the Bush freedom agenda to rest in favor of a more “respectful” approach to the world’s least free region, the administration has repeatedly made it clear that the US has little interest in promoting liberalism in the Middle East. The abandonment of Iran’s embattled dissidents in 2009 was merely the most visible symptom of this orientation. Since then, as the desire for individual freedom and popular dignity has lit up the entire region, the administration’s response to each successive Arab revolt has revealed its failure to learn the lesson of the previous one. The routine has become comically familiar: first, an assurance that the regime in question, friend or foe, is stable; next, a half-hearted call for “reform” and a denunciation of generalized “violence”; and finally, once the dictator has fallen, an insistence that the administration had supported the popular will all along and had played an invisible but significant role in its success. (Even in Libya, where NATO acted to prevent genocide, the leader of the free world insisted that the US play a secondary role and barely bothered to articulate the moral dimension of the mission). . . There are surprisingly few places in Sohrab's magisterial essay where the words "Middle East" could not be replaced by the "Afghanistan" or "Central Asia" and still be perfectly accurate. 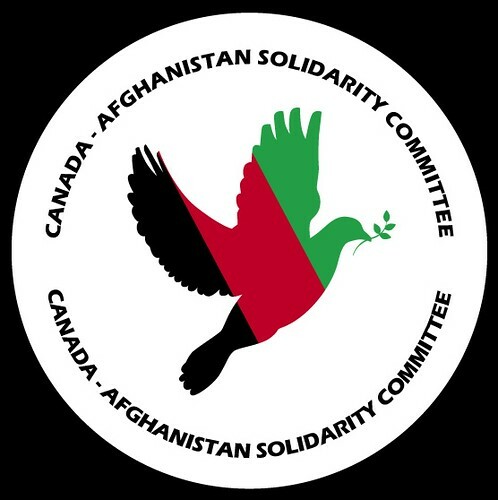 Meanwhile, here's the Canada-Afghanistan Solidarity Committee's recommendations for a Canadian contribution at the upcoming Bonn conference. The White House is still whimpering about Pakistan's decision to stay away from Bonn and issung preposterous claims about how Pakistan is still America's best buddy. In Islamabad, meanwhile, the creepy prime minister, Syed Yusuf Raza Gilani, has ordered Pakistani troops to take the safety off their guns whenever they notice Americans approaching the frontier, and he's further refusing to allow Pakistani officials to participate in the probe into last weekend's border gong show (in Washington they're still calling the incident a mere "bump in the road" if you can believe it).